Budget Update: Late Friday night, the Appropriations Committee reported out three separate versions of what the two-year budget should look like. The Committee was under some pressure to vote out amendments to the Governor’s plan this week in order to allow ample time to draft bill language that will be voted on by House and Senate members, while also leaving enough time to react to a possible veto by the Governor. 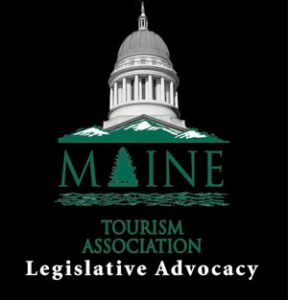 The Maine Tourism Association continues to push for a plan that eliminates the 3 percent surtax and does not increase the lodging tax or expand the sales tax. We are pleased that all three plans (Senate and House Democrat report, Senate Republican report, and House Republican report) do not expand the sales tax to currently exempt items. The Democrat and the Senate Republican plans also do not increase the state’s lodging tax (the House Republican plan recommends increasing it to 10% by January 1, 2018). Both the Senate and House Republican plans remove the three percent surtax; the Democrat plan keeps it in place. We do expect that continued negotiations will take place between leadership and Appropriations members during the next week, so the plans that are being reported out will most likely be tweaked in order to find comprise and get the needed support from the full Legislature to pass a budget. Forest City Dam Update: With only a few weeks left before the scheduled adjournment of the First Regular Session of the 128th Legislature, it is unusual for legislation to be introduced unless it is deemed an emergency. That is certainly the case for a bill introduced by the Governor last week that seeks to help numerous camps, sporting lodges, and businesses in the East Grand Lake area of Maine. At issue is the control of Forest City Dam and the water storage Project known as the Forest City Project, which is owned by Woodland Pulp LLC and located on the East Branch of the St. Croix River in Washington County and Aroostook County. Woodland Pulp has been trying to find an entity to take over ownership of the dam and project, and the company has indicated if a new owner is not found, it would stop operating the dam and leave the gates in an open position. This would be devastating for the economy of the entire region. LD 1626 authorizes the Department of Administrative and Financial Services, Bureau of General Services to assume ownership of the dam and water storage project and requires the Department of Inland Fisheries and Wildlife to oversee the management of the Forest City Project. By taking ownership of this property, it will allow the State to regulate the level of water in East Grand Lake to ensure recreational and habitat-related purposes. A public hearing for LD 1626 has been scheduled before the Inland Fisheries and Wildlife Committee on Tuesday at 1:30 pm. Paid Sick Leave: A bill that would have required paid sick leave for employees is on its way to being killed. LD 1159, An Act To Support Healthy Workplaces and Healthy Families by Providing Sick Leave to Certain Employees, proposed creating a right to paid sick leave for employees not covered by a collective bargaining agreement who are employed by an employer that employs 50 or more employees. It also created a right to unpaid sick leave for employees of an employer that employs fewer than 50 employees. The House approved an amended version of the bill but the Senate rejected the proposal; the bill is currently in non-concurrence between the two bodies. Water Extraction: Legislation that singled out Poland Spring Bottling Company was killed by the Legislature this week. LD 493 proposed creating an excise tax of 1¢ per 25 gallons of groundwater or surface water extracted from springs or other underground sources in Maine by a bottled water operator that extracted more than 1 million gallons in the previous calendar year if the water is packaged for sale. 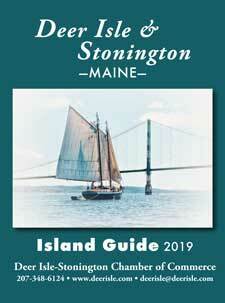 Revenues generated from the tax would have been transferred to the Maine Water Quality Testing and Monitoring Fund to be used for well water testing and lake water quality monitoring and support. Grocery Stores and Holiday Hours: Two weeks ago, I updated folks on enacted legislation that would allow municipalities to adopt ordinances to allow grocery stores of a certain size to be open on Thanksgiving, Christmas, and Easter. The Governor chose to veto the bill stating that “Either Maine is open for business or it’s not” referencing the state’s “blue laws” that limit what businesses can be open on holidays or Sundays. On Wednesday, the House sustained the veto by a vote of 87-51 (92 votes were needed to override the Governor’s veto).